We saw the Food Plaza Supermarket at 82 Bloomfield Ave in Newark for the first time back in July 2017. However, I passed by again and got some pictures when the sky was blue and the sun was shining! It's not hard to tell which are the originals and which are the new ones. 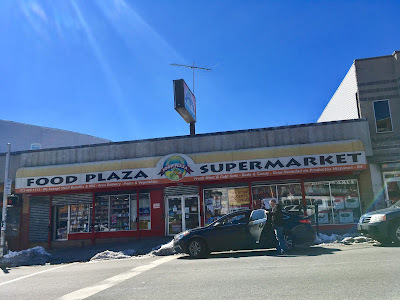 Stores like this are often vital to a neighborhood because they're where people supplement their food shopping at ShopRite, or in this case Stop & Shop or SuperFresh, which are both nearby. Therefore, it's important to bring fresh and healthier products into stores like these, and to ensure that they're priced affordably enough that they are accessible to most of the shoppers. It's funny, they're in almost exactly the same position as the first round! 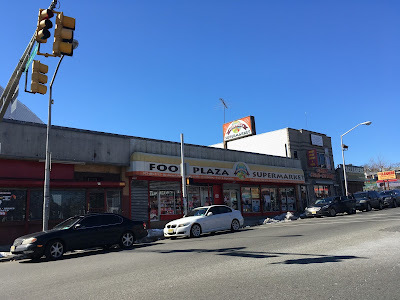 And as a matter of fact, this store was the target of efforts led by Cory Booker, when he was mayor of Newark, and his administration, to bring healthier products into neighborhood markets. Through the Strong, Healthy Communities Initiative, this store was able to expand its produce selection (which, if it had before, would have been tiny and expensive). 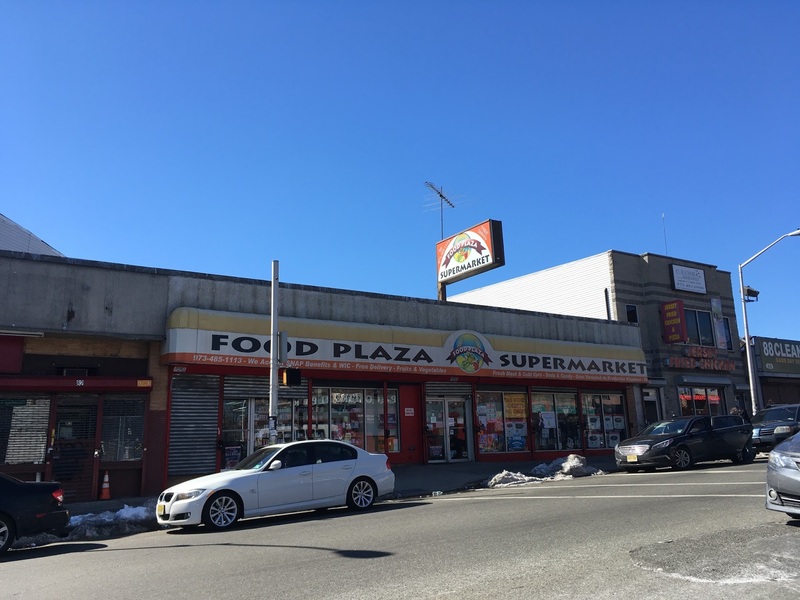 The Strong, Healthy Communities Initiative also brought the Food Depot Supermarket to Newark's Central Ward.